The number of air travellers and aviation-related jobs in Singapore could more than double in 20 years, according to a new study by a global airline body. This would increase the industry’s contribution to Singapore’s gross domestic product by the same quantum to an estimated US$65 billion (S$88 billion) in 2035, said the International Air Transport Association (IATA). Singapore will remain one of the smallest air travel markets in the Asia- Pacific by passenger numbers but its growth will outpace that of several neighbouring markets including Malaysia, Thailand and Hong Kong. The forecast bodes well for Singapore, which is investing billions in new infrastructure and facilities to prepare for the growth in Asia’s air travel market, industry experts said. Changi Airport Terminal 4 will open next year and plans are afoot for T5, a mega passenger terminal to be built about 1.6km away from the existing airport premises. By the time T5 is ready, likely by the end of the next decade, Changi will be able to handle up to 135 million passengers a year, up from 66 million now. IATA expects that, in 2035, Singapore will handle about 117 million passengers – 87 per cent of the planned capacity. The projection takes into account factors including the region’s growth trends and economic indicators. Mr Kent Yar, deputy managing director and global head of aerospace at Morgan Philips Executive Search, said the forecast is in line with developments in the industry and growth prospects in China and other strong markets. The growth will bring opportunities for the aviation industry and related sectors such as the retail and hotel industries, he said. The Association of Aerospace Industries (Singapore) is gearing up for the new jobs that will be created, particularly in the repair and maintenance of aircraft and parts. There are several areas of focus, a spokesman said. The first is to develop aircraft repair capacity and infrastructure through investments at Seletar Aerospace Park and Changi – in tandem with the expansion of Changi Airport. Another priority is to improve productivity and competitiveness by investing in technology and automation, he said. The study by IATA – the first of its kind for the region – aims to encourage governments and industry players to invest in the necessary infrastructure and services to take advantage of the industry uptrend. It is estimated that, by 2030, there will be more people flying to, from and within Asia than Europe and North America combined, the association said. “This growth is generating large regional economic impact from aviation. However, there is concern that the development of aviation infrastructure in the region is not keeping pace with growth in demand, putting some of the potential future economic benefits of aviation at risk,” the report said. Aviation is a key driver of economic success, IATA said, citing Singapore as an example. While many factors have contributed to Singapore’s success as a trading centre and business hub, “the quality and range of air services available at the country’s main airport, Changi Airport, is a major, if not critical, contributing factor”, it said. 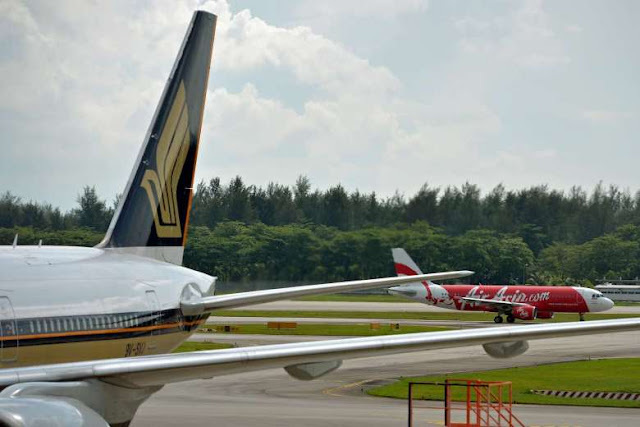 Singapore’s position as a global trading and business hub would not be possible without the high degree of air connectivity – passenger and cargo – provided by the airport, it added.